After waving off the huge and glitzy Norwegian Breakaway, Southampton welcomes a totally different kind of ship next week. 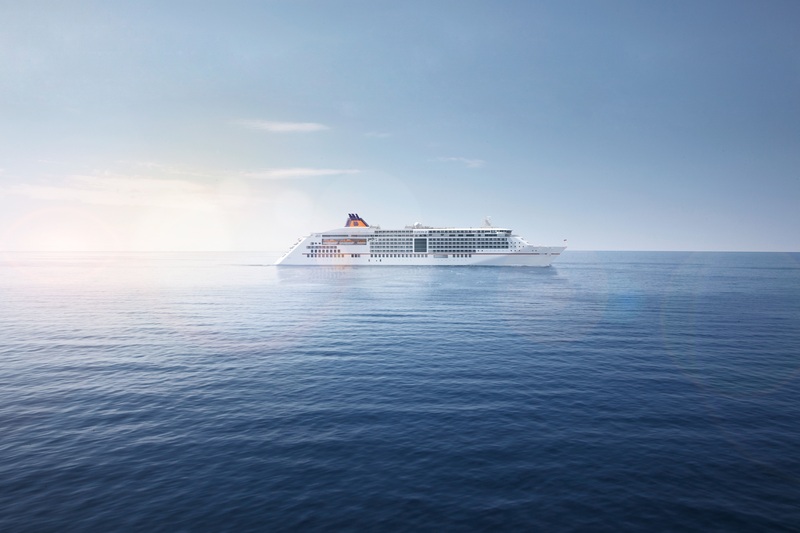 The ultra-luxurious Hapag-Lloyd Europa 2 is visiting the port on bank holiday Monday, May 6, for a ‘shakedown’ cruise ahead of its christening in Hamburg on Friday, May 10, and its maiden voyage to Lisbon the following day. It is said to have the largest space per passenger of any cruise ship. Once again, I’ll be on board and tweeting as it makes an overnight round trip in the Solent. This entry was posted in New ships and tagged Europa 2, Hapag-Lloyd, new ship, Southampton. Bookmark the permalink.